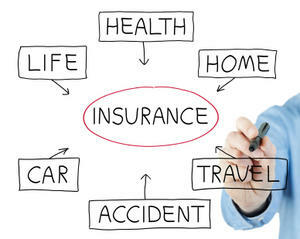 Some insurance policies are mandatory by law, such as car insurance, others are a matter of personal choice. Read our guidance and tips and remember to shop around. Young drivers in the family? 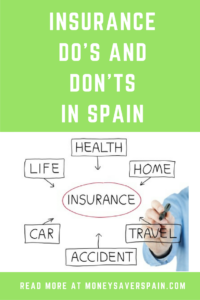 It’s cheaper to put them on your own car insurance in Spain with yourself as the main driver. However, in the case of an important claim if the company can prove that you are not the main driver, this may invalidate your claim. Most major companies offer insurance policies specifically for young drivers and you can also try Balumba and Verti. Don’t always take for granted that third party insurance is cheaper than fully comprehensive – compare prices first. Alternatively check out third party cover with extras (eg windscreen breakage). It’s a good idea to use price comparison sites for car insurance such as Acierto. But if you put in the wrong details you may invalidate your cover. Take into account also that not all companies are included on price comparison sites. The EU directive states that all electrical appliances must have a 2-year warranty. Keep your receipt or invoice, during the first six months any repair should be dealt with by the seller without cost. The tricky part comes after these six months where the buyer has to prove that the fault was present when the item was purchased, and not due to incorrect usage. Many sellers tend to avoid mentioning the 2-year warranty and try to offer an extended warranty when you buy their goods. This leads to crazy pricing such as 40€ to cover a 60€ printer. Check your home insurance policy as it may cover some of the eventualities that these policies offer. For minor items we suggest you “save for a rainy day” rather than take out an extended warranty. Before you think about paying for mobile phone insurance, check if it’s covered on your home contents insurance and, if so, up to what value. If you have a top-of-the-range phone but you’re only covered for up to 100€, consider a policy either with your mobile phone provider or another company such as The Phone House. Don’t underestimate your home contents insurance to save a few euros on your policy. If you have to make a claim and the insurance company decides that you’d only insured half the actual value of the contents, then you’d only be entitled to half of your claim. Remember to review the contents valuation after upgrading your kitchen, extending your property or similar. If you have an empty property on the market, reduce your contents insurance to what’s actually needed. Most companies have a minimum threshold for contents insurance cover (which may be above your actual requirement). If you’ve rented out your property, let the tenants know they’ll be responsible for insuring their own contents. Tip: Some home insurance policies cover replacing your front door lock if you’ve lost the keys. Why? Because it’s cheaper than risking a claim from a break-in. The cost of pet insurance can be worthwhile given the potential cost of vet’s fees, but remember to check out the small print. For example, if you forget to vaccinate your pet it could invalidate your policy. Pets will normally need a microchip fitted and you won’t be covered if your pet takes part in sporting or hunting activities. In Spain most of the major insurance companies offer policies for pets, so check out Mapfre, Santalucía or Ocaso. Additionally there’s a dedicated website called SegurVet. Anybody who’s brought their pet from abroad should make sure to mention it to the insurance company. For travel within Europe, ensure you have a valid EHIC card (check the expiry date now!). However your EHIC won’t cover everything, such as repatriation or family travel costs, and that’s when you may think about taking out travel insurance. If you travel more than once a year, annual travel insurance policy (also available in periods of 3 months) tend to work out more economical than buying each time you travel. In most cases, you should take out this type of policy in your country of residence. In Spain take a look at Intermundial, Allianz-assistance and Mapfre. A popular choice with many people, however for many they’re not a good idea. With a few exceptions you’ll pay in considerably more than your family will get out. With most of these contracts you need to pay for life. If you decide to cancel, or simply miss a payment, you could lose everything you’ve paid in. If you’re lucky and live a long life you’re stuck with continuing to pay for many years after your contributions have met the fixed payout amount. For those in poor health they may be a good option (although you will have to complete a health questionnaire). Always do the maths before signing up for any of these plans. A better alternative would be to place an equivalent amount every month in a savings account and not touch it! Insurance companies must let you know the renewal cost two months before it’s due. Policy holders only need to let companies know if they’re going to cancel one month before renewal. Check your existing cover. Does it need amending (eg change in home contents value)? Are there any new circumstances that you need to include or remove? Shop around, use price comparison sites to find cheaper deals. Call your current insurer and let them know about the deals you’ve found. Give them an ultimatum, in most cases they’ll equal the price and, if not, switch to a new company.